A few weeks ago I was in Central Oregon’s high desert region for some golf and beer tasting (there are 10 craft brewers in Bend alone). In between the snow flurries I got in 4 rounds and a few hours of photography. These photos are of Smith Rock State Park. Smith Rock State Park is a state park located in central Oregon‘s high desert near the towns of Redmond and Terrebonne. Its sheer cliffs of tuff and basalt are ideal for rock climbing of all difficulty levels. 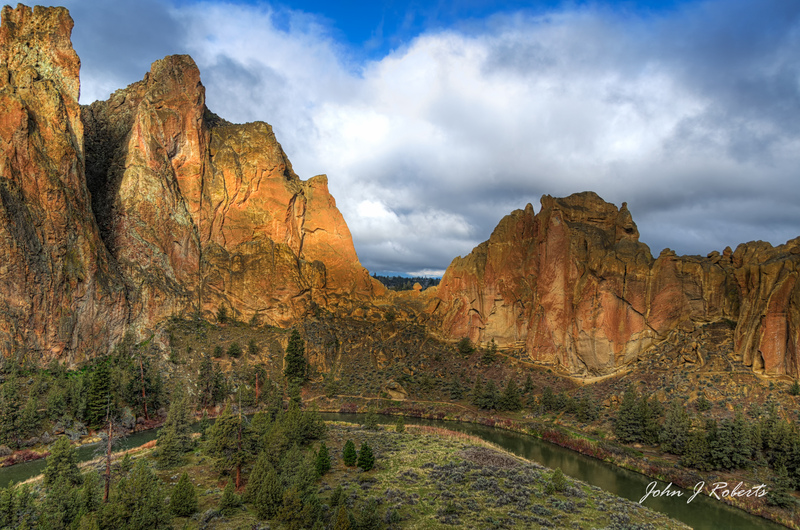 Smith Rock is generally considered the birthplace of modern American sport climbing, and is host to cutting-edge climbing routes. It has over a thousand climbing routes, many advanced. Some areas are bolted. The park contains the first U.S. climb rated 5.14 (8b+). The area is well-known for its challenging climbing routes so eventually all top climbers visit. Between 1992 and 2009, about 500 new climbing routes were added. 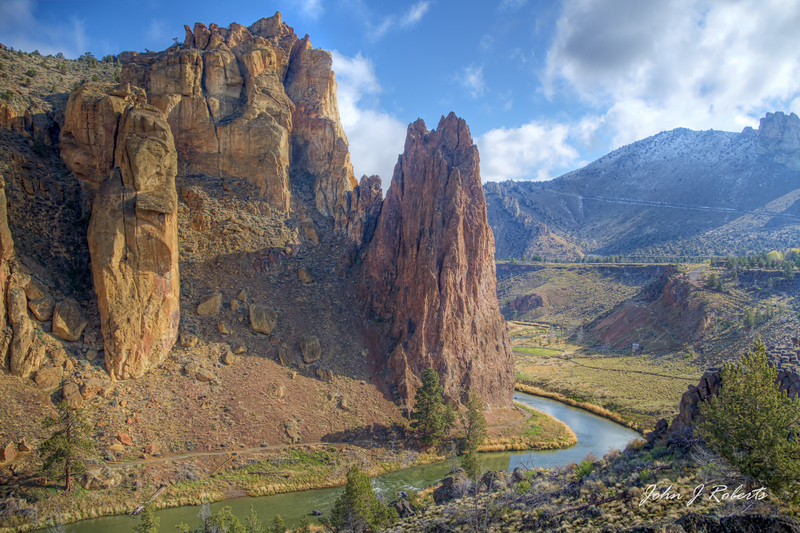 In addition to the world-famous rock climbing, Smith Rock State Park is host to many miles of hiking trails, the meandering Crooked River and views of the volcanic peaks of Oregon’s Cascade Range.